Simply Organized by Rachel will help organize your life from your finances to your closets. 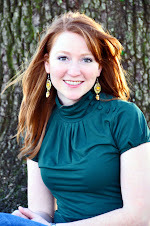 Rachel’s passion is to help empower people to regain control over their homes, offices and finances. With a background in banking, Rachel is uniquely qualified as a financial consultant to teach classes and to coach clients on financial management. Please call her for a free home or office organizational consultation, to schedule one on one financial coaching, or to register for a Money Made Simple class. "Rachel organized my closet and did it so well that I take everyone in there to have a look for themselves. I looks great and the bonus is that I feel great going in. Not like before, dreading that clutter. It would stress me out just thinking about where to begin. I can't say enough about how quick and efficient and thorough she is. She just knew what needed to go and we laughed the whole time." 1) Google Calendar: it helps me organize my personal and business life with little effort. I like the fact that even if I lost my phone, all my events, birthdays, and reminders would be stored. I also have it linked with my husbands phone so if I want to say, set up a date, I just put it in our shared calendar. 3) Filing cabinet: I could not live without a large filing cabinet. I hardly have any paperwork out because I invested a little time in organizing my paperwork into files and now as soon as I open my mail, it either goes into the filing cabinet or into the trash. 4) Cloth or canvas storage boxes: Jacob and I each have a labeled storage box and we put all of our latest memory items into it. I kept finding random photos and tickets all over the house, so I bought some cute boxes from Tuesday Morning and now as soon as I can't let go of something, I just stick it into the box. We also have a travel box so I stick all of our travel memorabilia into that box. I just discovered mint.com and it is one of the best tools for home budgeting that I have ever seen. It automatically uploads all of your transactions from your credit cards and accounts and you can set goals and a budget from there. You can even look at your trends in spending. It's fantastic and I highly recommend it! Matt. 6:20 says "store up for yourselves treasures in heaven." It's time to give stuff away, de-clutter and simplify. We should ask ourselves why we are holding onto so many things. We are only on earth for a short amount of time, therefore we should not spend it stressed out and not at peace in our own home due to a mess and disorder. Does the word “FINANCE” intimidate you? Do you ever wonder what a “Roth IRA” is and whether or not you should have one? Have you built a budget, tried to maintain it, and failed within weeks? Have you ever held back from asking a “dumb” question about finances? If you can answer yes to any of these questions, we have a group for you! You are invited to join a small group of women as we gather to discuss personal finances: budgeting, saving, retirement, investing, and debt. The class is a sponsored by First Presbyterian Woman's Ministry and is free! We will meet for five weeks on Wednesday evenings from 7.00 pm until 8.30 pm starting April 14 at the home of Rachel Palmer. Please contact either Mary Willson (mary@fpcbr.org) or Rachel Palmer (rachel.g.palmer@gmail.com). Please register by April 7.